Ideas, Inventions And Innovations : Which Exercises Burn the Most Calories? Researchers from Universidad Politécnica de Madrid (UPM) have calculated for the first time the real energy expenditure in different training programs, including both aerobic and anaerobic contribution. 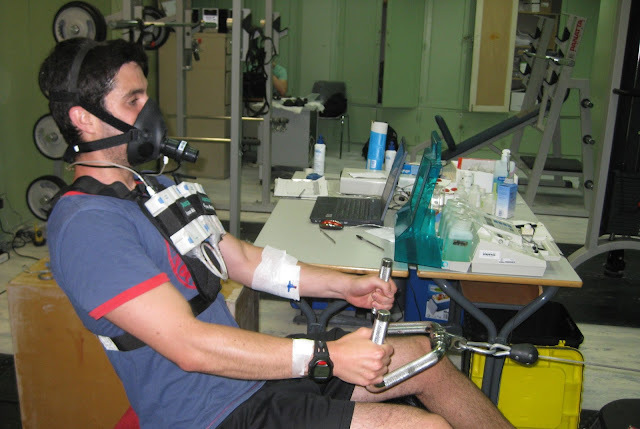 The results of this study carried out by the Laboratory of Exercise Physiology Research Group at Faculty of Sciences for Physical Activity and Sport (INEF) from UPM found that the aerobic exercise interposed in a circuit resistance exercise increases more oxygen consumption and energy expenditure than the conventional circuit training. Besides, the training protocol that burnt the most calories was the protocol that required less effort to the participants, although all protocols had the same duration and intensity. These results can help design programs with different types of exercises equivalent to the energy expenditure, this will allow us to accurately compare their effects on health results. Credit; UPM LFE Research Group. Both resistance ability during prolonged exercise (cardiovascular capacity) and muscular strength are related to future health. A person with a greater cardiovascular capacity and/or higher muscular strength will likely have better health in the future. For this reason, it is increasingly recommended both types of exercise to improve health. These two types of training are also used in obesity treatments which is a pathology with alarming incidence in developed countries. 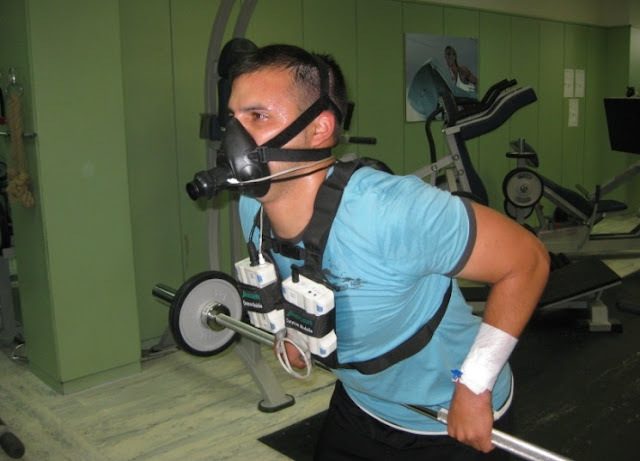 In this way, the Laboratory of Exercise Physiology Research Group (LFE) from UPM has carried out a study to measure the energy expenditure of three different training programs: the first protocol was performed using resistance machines, the second protocol used a very similar strength, but performing exercises of free weight (bars, disks and dumbbells), and lastly a protocol that alternated free weight exercises with cardiovascular exercise. The aim of this work was to determine which protocol burns more kilocalories comparing the sessions of same duration and intensity. The breakthrough point of this study was that the two forms of energy that the body uses to move were measured: aerobic energy, that uses oxygen, and anaerobic energy, that does not require this gas. Previous studies had only taken into account the aerobic energy, therefore the total energy expenditure was not measured completely. Besides, this study also registered the strength required to fulfill each of the three sessions. Thus, participants scored on a scale of 1 to 10 the strength needed to complete the training program. The study results indicate that the combined training program, alternating strength exercises with cardiovascular exercises was the program with greatest energy expenditure and a lesser degree of effort. Thus, the training program that produced the highest total energy expenditure was the one in which participants felt less tired. Specifically, the one hour session had an average expenditure of 259 kcal (311 kcal in males y 203 kcal in females), facing the 203 kcal of the free weight training program, and the 173 kcal of machine training program. Likewise, the participants scored the effort performed in each session with an average of 7.6 points in the combined protocol, 9 in the free weight protocol and 8.4 for the machine training program. Researchers indicate that “these results have a promising practical application in people with overweight and obesity, people who perform exercise with more difficulty and effort and really need to produce higher energy expenditure in order to maximize the loss of body fat”.